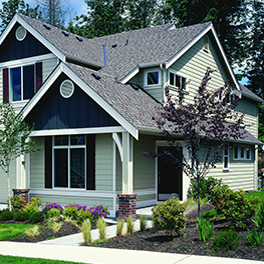 Looking for a qualified siding contractor that can help you make the best decisions with replacing your home’s siding? is low maintenance and will stand up to the elements for as long as you own your home. K & B Home Remodelers sets itself apart from many other siding competitors by creating visualizations of what your home might look like with various siding styles, siding colors, and application options. Because we understand how big an investment residing your home can be, we strive to make sure that you can see a visualization of exactly what your home will look like before the project starts. Providing this piece of mind and enabling you to make more informed choices, our exterior siding designer are just one of the many advantages you will experience when working with K & B Home Remodelers. Call us today to answer your questions or schedule a free in-home consultation. We believe that siding should last the lifetime of your home. We are committed to installing products that not only make your home look beautiful, but are extremely durable as well. That is why K &amp; B Home Remodeling specializes in installing the leading brand of fiber cement siding in the US, James Hardie siding.